How lonely will you be? Will loneliness cause you problems? Loneliness can result in significant emotional problems. While loneliness isn’t considered a specific mental illness, it plays a role in creating and worsening several mental health issues. Loneliness can undermine self-esteem by making people feel, empty, worthless and unwanted. Loneliness is both a cause of and a result of social isolation. If you are feeling lonely, you probably feel that you lack something in your life. Loneliness coupled with anxiety and depression increases your risk of feeling threatened and may result in paranoia. In its milder forms, loneliness can be a motivator for you to seek out human contact. Stronger versions of loneliness result from feeling you have too few social connections or the relationships you have are one-sided and unhelpful. 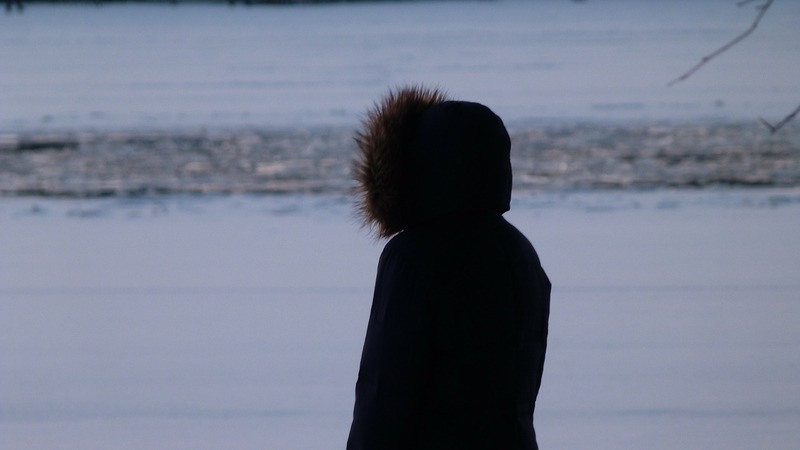 Researchers have discovered strong connections between loneliness and depression. Lonely people are at an increased risk to think about suicide or to even attempt suicide. Lonely people are more likely to use and abuse drugs and alcohol resulting in alcoholism and addiction. The combination of substance use disorders, feeling lonely and depressed, and believing that others are rejecting you, increases the risk of violent behavior. Loneliness has also been linked to physical health problems and poor emotional development. The very young and very old are at increased risk for feelings of loneliness. Particular life transition points also increase these risks. Your thinking can make your loneliness better or worse. How lonely you feel is less likely to be the result of how many friends you have or how much time you spend with others, and is more connected to your attitudes about the quantity and quality of your social connections. Your feelings of loneliness are primarily the result of your beliefs about four separate factors. When you’re feeling lonely, it is important to look at both the facts and your beliefs in these areas. One way to reduce the feelings of loneliness is to develop the skills you need to change your situation. The other way to feel less lonely is to reconsider your beliefs about things. Often negative emotions are caused not by the situation, but by the beliefs you have about your circumstances. What do you think about your friendships? Loneliness is reduced more by having close, true friends, than by the number of casual friendships you have. It’s not how many friends you have, especially your social media friends, but how close you and your friends are. True friendships should be reciprocal. You care about them, and they care about you. You should be willing to do for them, and they should be equally willing to do for you. If you find that your relationship is all about that other person, that you must do what they want to keep their friendship, that’s not a healthy, positive friendship. It’s wonderful to have a BFF (best friend forever.) Having only one close friend limits the ability of your friendship to be supportive. No one will be able to devote every minute of their life to meeting your needs. If you call that one best friend constantly about your problems, you are likely to burn them out. Recovery programs often recommend that you have at least five separate people in your support system. Your friends should have other people in their lives beside you. If you’re in a relationship where you can’t have other friends or where you resent the other people in their life, these are not healthy relationships. Emotionally healthy people belong to a group of friends rather than being dependent on only one person. Having only one person to meet their emotional needs is a large issue for couples. When there are difficulties in your relationship, you will find it hard to turn to your partner for emotional support. It’s risky to turn to friends with whom you might be tempted to develop a close sexual relationship. For heterosexual people, this is the time you need to have friends of your own gender. Feeling socially isolated causes loneliness. If you feel like you have no friends and no one you can talk to, this should prompt you to reach out and make connections. For some people, this means professional counseling, which can help in the short-term. In the long-term, you need to put yourself into situations where you can make friends, and need to learn the skills necessary for creating and maintaining friendships. Is being alone a bad thing? Your attitude towards solitude will magnify or reduce your feelings of loneliness. Ask yourself how you feel about spending time with you? Some people find that when they are alone, they don’t know what to do. Are you bored when there’s no one else around? Being alone shouldn’t make you unhappy. Alone time is an opportunity to find out about yourself. Focusing on the negative will increase your loneliness. Feeling negative about being alone will cause the time to drag. Filling the alone time with things you enjoy doing turns loneliness into happiness. Can Solitude be a good thing? When you are alone, look for the positives. Your time alone should be an opportunity to get to know yourself better. Develop a friendship with yourself. Throughout your life, the one constant will be you. Everywhere you go, every minute of your life, you will be there. Work on enjoying the time you by yourself. Life can get hectic at times. Sometimes it’s nice to get away from it all. If when you get that chance to get away from life’s hassles, you discover you’re getting lonely, consider developing a stronger friendship with yourself. Other posts about feeling lonely will are found in the category – Loneliness. This entry was posted in Depression, Loneliness and tagged alone, emptiness, isolated, Licensed Therapist & Licensed Counselor, lonely, Low Self-esteem, rejected, Shy, worthless by David Joel Miller. Bookmark the permalink.